Teresa Corbin is a co-founder and now CEO of ACCAN, Australia’s peak body for communications consumers. She has many years of experience working in telecommunications policy both in Australia and internationally. Teresa is a director on the Board of the International Telecommunications Users Group (INTUG). In Australia she currently sits on several bodies including the ACMA Consumer Consultative Forum and she chairs Standards Australia’s Consumer Policy Committee. In 2015, she was awarded the Charles Todd Medal by the Telecommunications Society for having made an outstanding contribution in recent years. 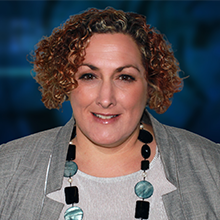 Teresa holds a Bachelor of Arts with a major in Linguistics from La Trobe University and is a Member of the Australian Institute of Company Directors.